Tension Meters for wire, yarn, carbon fiber, belts and more, Schmidt, Honigmann. 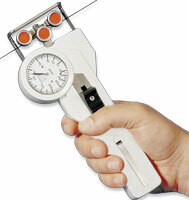 Checkline.com offers a complete line of hand-held and fixed mount tension meters. From basic analog models for yarn to digital models for wire or carbon fiber tension we have you covered. Don't see what you need? Contact our experts for a custom solution. 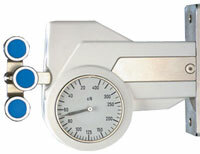 We have over 50 years experience supplying tension meters for textile, wire and many other industries. 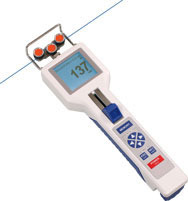 Rugged Analog models measure tension on yarn, wire, tapes and more. 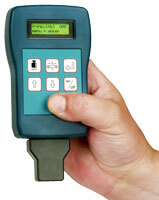 Precision Digital Tension Meters measure tension on wire, fiber, belts and many other applications. Fixed-Mounted and Hand-Held Tension Sensors for yarn, fiber, wire, cable, optical fiber, carbon fiber, warps, webs and more. An extensive variety of Single-Roller and 3-Roller Tension Sensors are offered with many choices of roller profiles, materials and sizes, depending upon the application. 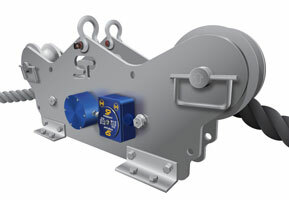 Measure tension on Wire Rope, Guy Wires, Steel Cables and more. 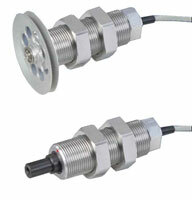 Provide display and amplification for our online tension sensors. Fixed mounted analog tension meters for continuous measurement. Clamps on cables for wire rope hoist, elevator and crane overload prevention and slackline detection. Installs in minutes with screwdriver and Allen wrench. A complete line of Honigmann Hand-Held and Online Tension Sensors for a wide variety of applications in industries such as textile, fiber, wire, cable optic fiber, carbon fiber, non-woven and more.